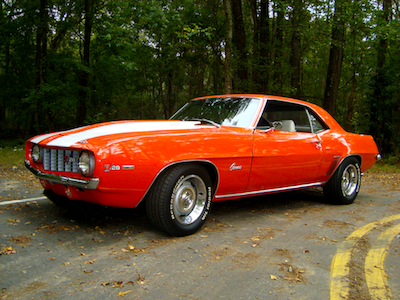 Here at Advance Automotive & Towing in Hilton Head Island, we are fortunate to specialize in Auto Repair. 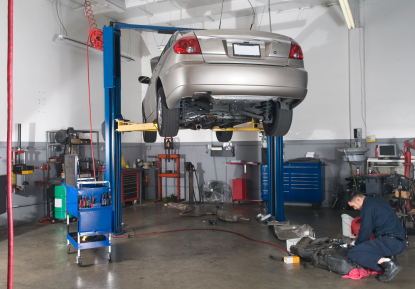 As the premier auto specialty shop in Hilton Head Island, our highly-trained automotive mechanics and experienced towers take pride in their Transmission Repair efforts. Each and every one of our reliable specialists and seasoned towers undergoes extensive automotive repair training, including advanced Towing Service certification. The towers and maintenance experts at Advance Automotive & Towing have been honored to serve Hilton Head Island for the past 14 years. While focusing on Brake Repair may be our concentration, our time-honored reputation was not built on mastery of Brake Repair in Hilton Head Island alone. The automotive and towing experts at Advance Automotive & Towing have built our renown in Hilton Head Island and beyond. 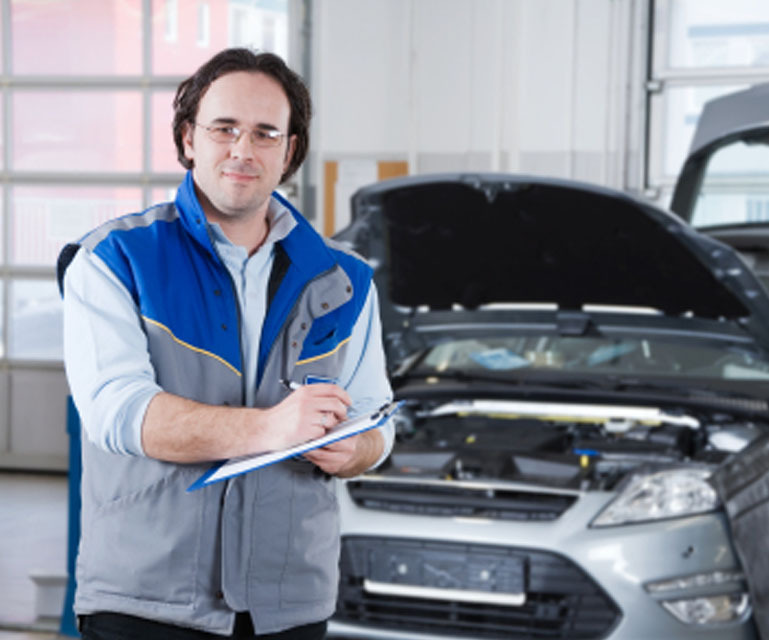 So whether your specific vehicle maintenance needs require Ford Repair attention or not, the guys at Advance Automotive & Towing will be glad to provide trustworthy and reputable service. From Transmission Repair to Towing Service, we at Advance Automotive & Towing are proud to provide reliable vehicle care and towing service to those living in Hilton Head Island, or just driving through! "While on vacation we had a no start issue. Chuck towed our vehicle performed a diagnostic the vehicle started while at his shop started. He was unsure of what the problem was and was professional and honest. His price for the tow and other service I asked him to perform was more than fair. I would certainly recommend his towing and repair shop other motorists. Thanks again Chuck!!!" "Absolutely would make Chuck my only mechanic. He saved us when our alternator went out while on vacation. He was the best price, but more important honest and so helpful." "Chuck was very helpful when our car broke down on a mini vacation. He called a taxi and waited with us until the taxi arrived." "June 17th we were involved in an accident on Hilton Head. We chose advance automotive and towing as it was first on the list we googled. It is now first on our list for service and hospitality. They arrived at the scene and towed our vehicle and gave us a ride to their shop. There Chuck Padgett and his crew were very friendly and helpful to the point of calling Enterprise car rental for us and offered us cold waters and a place to wait on the rental company to pick us up. The next morning they towed our suv to H&H Auto Service. Mr. Padgett and his crew are reflective of good ole southern hospitality. Thank you very much for your services." "I've been going to AA&T/ Chuck for almost 6 years now. He is the fairest, fastest, and trustworthy mechanic on Hilton Head Isl. I've lived here my whole life, and dealt with many other places. Nothing compares to there service and prices. Thanks -Mitch"
"When our car developed serious problems during our vacation week in town, Chuck fit us in on short notice, gave us an honest assessment, and when we elected not to fix the car (it was major work), he did not charge us for his work. We were impressed and appreciative of his honesty and desire to help." "Chuck & Kevin provided me with honest input and quality work. It's not fun to have to get your car fixed while on vacation but after finding Advance Automotive on Yelp! and reading their positive reviews from their customers, I decided to check them out. There was no pressure and they were very attentive to my needs." "We were traveling on vacation. Our engine was running roughly with the warning light on and needing emergency service. 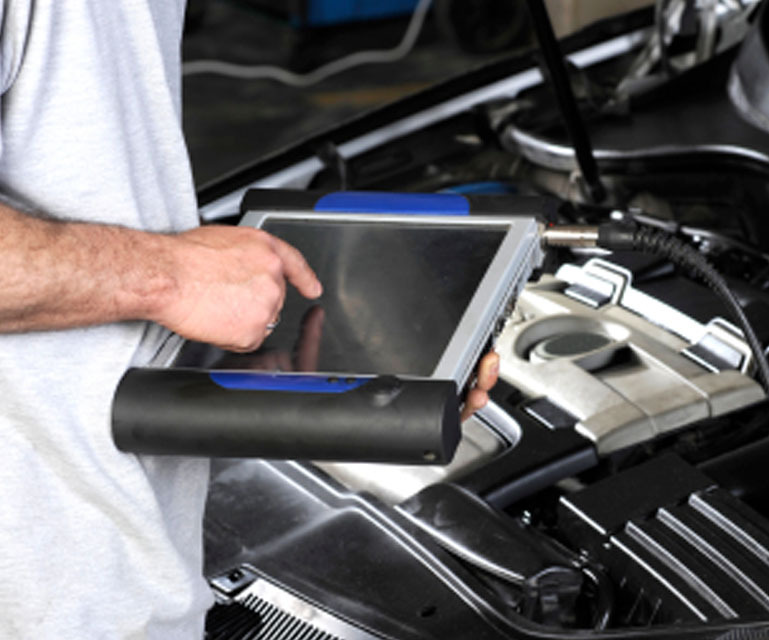 A fuel injector problem was diagnosed promptly and repaired within 12 hours. Great service and high quality workmanship. Would not hesitate to recommend Advance Auto or use them again ourselves if we were in the area. We were so grateful to have Chuck available when we needed help on our trip." "We were traveling and had major car problems. A friend recommended we contact Chuck for diagnosis and repair of the problem. We were very pleased with the service. The work was professionally and promptly done. We will be happy to recommend you to others that may need service." "I refer people to Chuck at Advance Automotive all the time. He's knowledgeable and fair and will help you determine what needs to be done and what can wait if money is an object. My husband and I have classic cars, and Chuck works on those as well as our daily drivers. 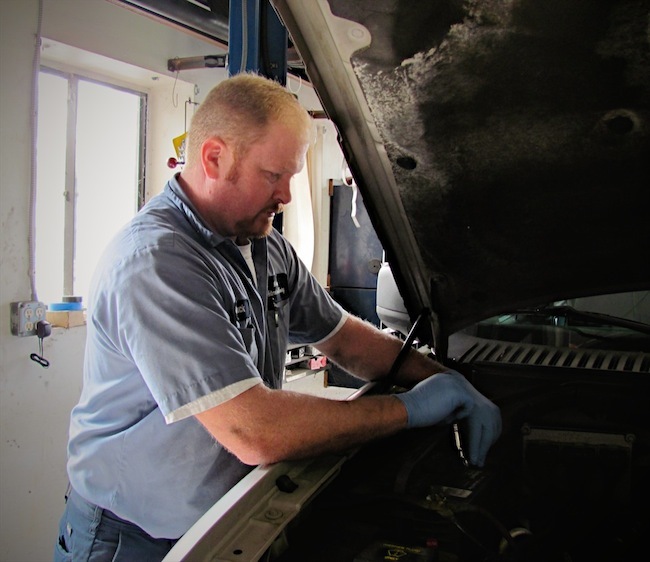 It's a relief to have found someone we can trust to take care of our vehicles." "Chuck is bar none the most trusted mechanic I know. Been in the same place for 20+ years. That says it all." "Quality and service are the very best. 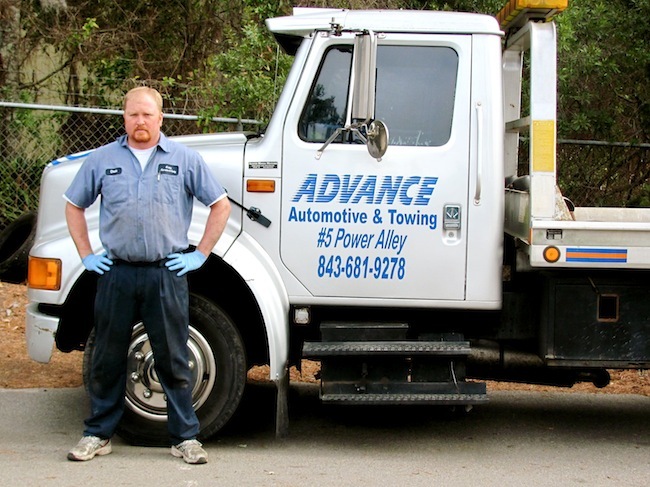 No one could go wrong using Advance Automotive & Towing." "Outstanding! Quality work at a reasonable price." "I would highly recommend your services"
"to use chuck! I am so grateful I "stumbled" upon this awesome auto shop. I was broken down on the side of the road (fuel pump) and Chuck took great care of me. He was thorough and uber professional and the estimate he gave me was far less than I expected from my google searches. In addition, since he was "in there already" he made some changes to another part of my system and didn't charge me for it. Our mechanic just moved so I'm very happy to have come across Chuck. He was timely, professional, communicative, took initiative and saved us what would have been hundreds more at another auto place. Thanks Chuck!" "Friendly with reasonable pricing - close to home. 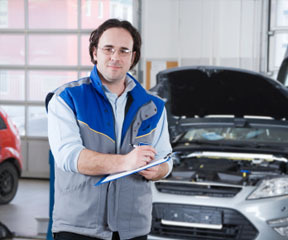 Does not perform unnecessary work to boost up the bill, as they do at the dealership." "Chuck is an honest and trustworthy person. He goes out of his way to make his customer happy and provides top knotch work!" "Chuck is a trust worthy person. Unfortunately my car could not be fixed and he explained it and didn't try to do something that other shops might. I would highly recommend this shop." "I got the place for you; I'll even take you there to meet Chuck." "We had a very sick car...Chuck provided excellent attention to detail, a complete exam and outstanding service. Our auto is running very well now." 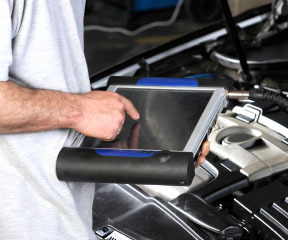 "If you need anything fixed or changed for your car, this is the place to go! Chuck (the owner) knows what he's doing! He doesn't beat around the bush, Chuck is straight up and doesn't try to sell you something you don't need. Chuck will get you in and out in a flash with high quality and efficient work. He truly cares about his customers!" 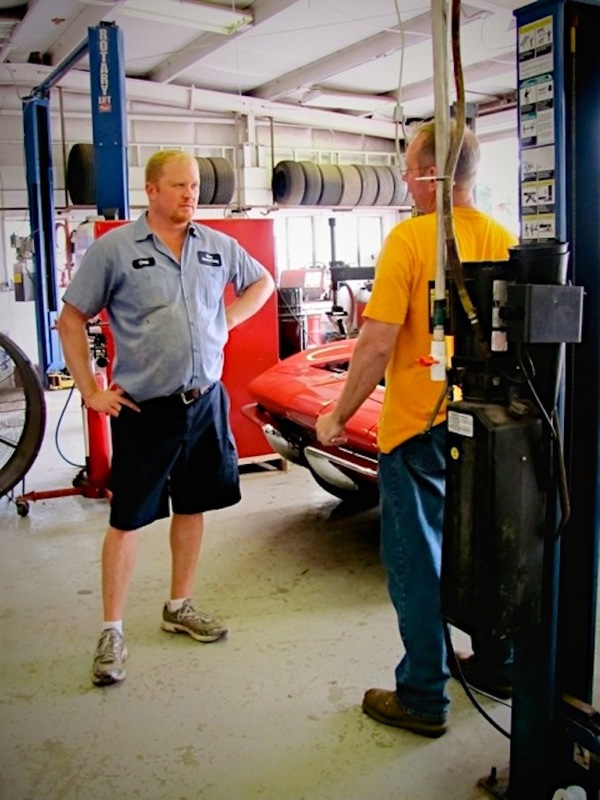 "Chuck Padgett is an excellent mechanic and is HONEST.... If something isn't right, he'll make it right!!!" "They have great customer service and there work is top quality and I will never go any where else." "They are the best automotive shop in the world!! Chuck is a complete pleasure to deal with AAAAAAA+++++++++++++"
"I would highly recomend them which I already have my neighbor is looking for brakes and I gave him their card." "Chuck has allways taken care of our cars. He is the only mechanic I've ever dealt with that has never made me feel like I was'nt being taken advantage of. If he tells me my car needs something there is no doubt, it needs it. If I were out of town and had a problem I could only hope to find a shop like Advance Automotive & Towing!!"